Global Seminars: Friday = Free day to explore! Friday = Free day to explore! Today, we broke into groups for our choice of sightseeing. After doing a lot of walking every day this week, today was no exception. 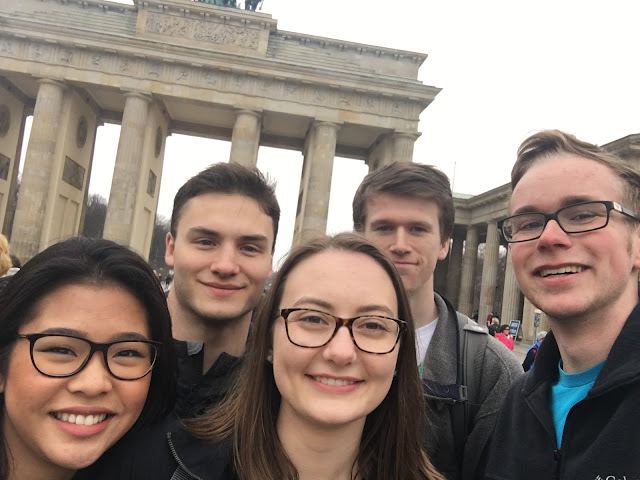 Today our group explored in a couple of groups–one going on an overview guided tour of the city and the other exploring on our own–but both groups seeing Brandenburg Gate, which is an 18th century neoclassical monument marking the start of the road from Berlin to Brandenburg an der Havel. One group visited the Memorial to the Murdered Jews of Europe, in the center of Berlin. 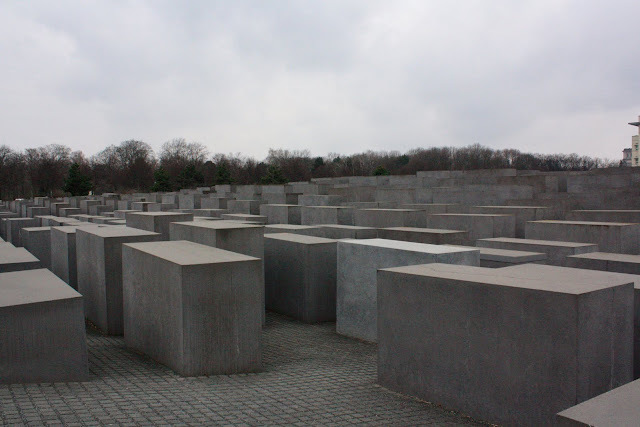 The Memorial to the Murdered Jews of Europe is a Holocaust memorial consisting of blank rectangular prisms that visitors can walk through. 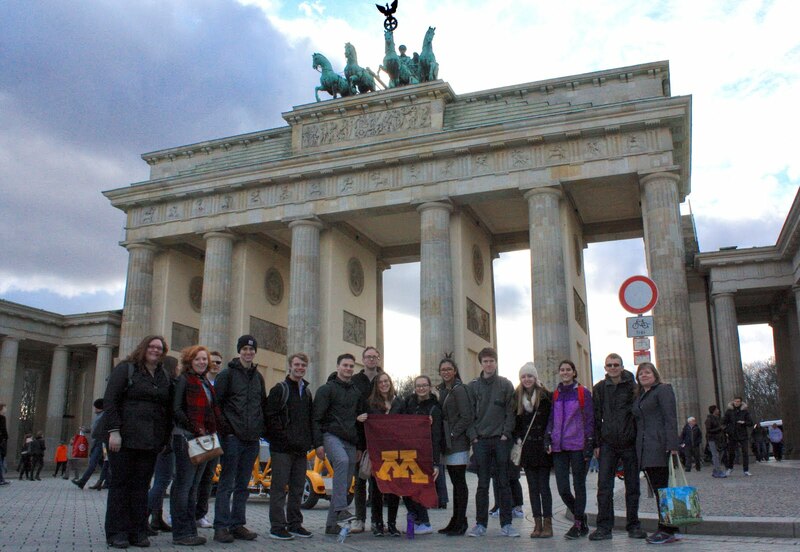 Following World War II, the city of Berlin was divided—East Berlin became the capital of East Germany and West Berlin became an exclave surrounded by the Berlin wall. The fall of the wall happened in 1989 followed by the reunification of Germany in 1990. 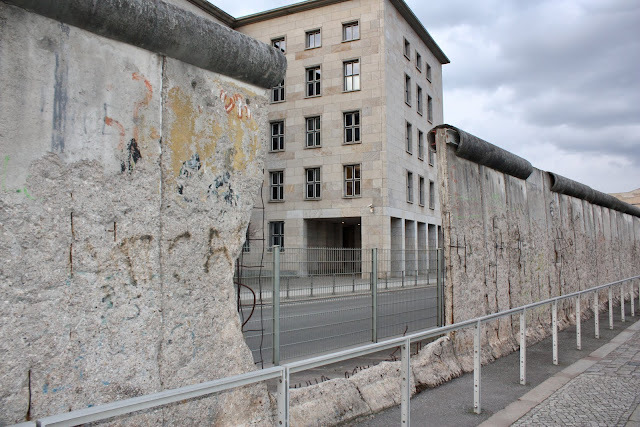 In areas of Berlin, parts of the wall still stands. 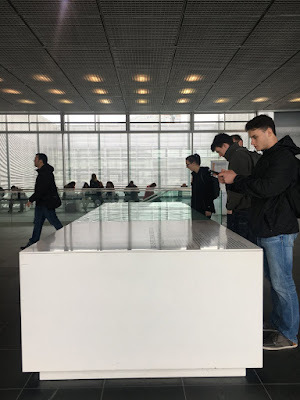 The Topographie Des Terrors, which translates to the Topography of Terror, houses information, photos, and videos of the Nazi Regime’s central institutions of the SS and police in the Third Reich. While exploring Berlin, we also saw and heard some really interesting street musicians including a french horn player in front of the Staatsoper Unter den Linden Berlin, a percussionist playing on pots and pans, and a phenomenal accordion duet in one of the subways playing the Pirates of the Caribbean theme song. An wonderful experience of this education research tour, i hope you have learned many things about offline and online education, do you know you can make your projects more attractive to use Fancy text tool that can make your text more stylish.